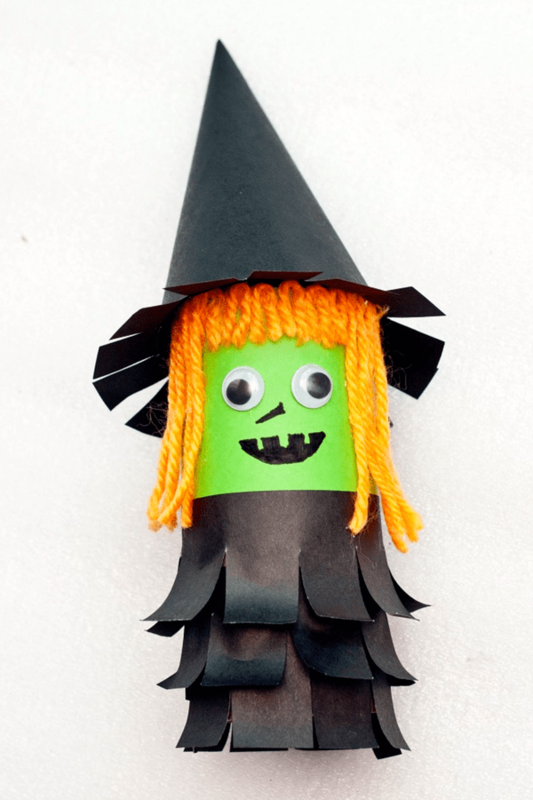 I love fun and simple DIY holiday decor. The kids love it too. I love creating memories with them while also making fun decorations we can use year after year. 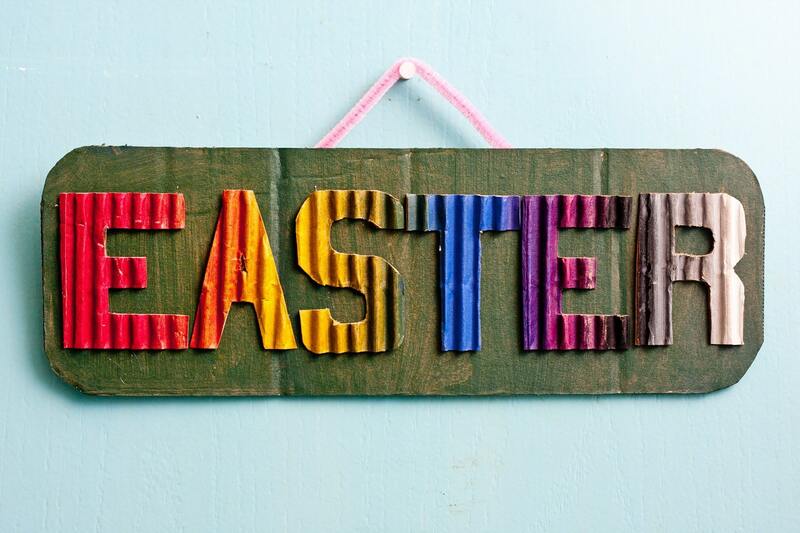 Then the next time Easter rolls around we can pull out or handmade Easter decor and talk about how much fun it was to make. 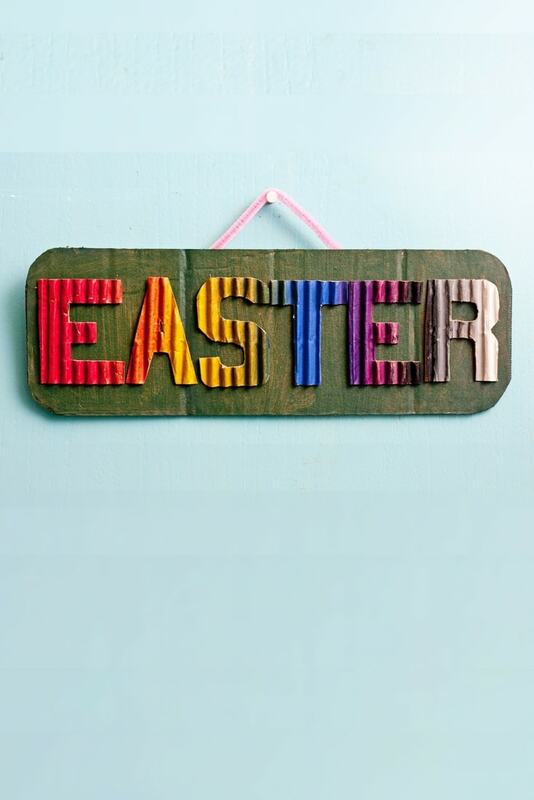 Here is a simple Easter door sign. 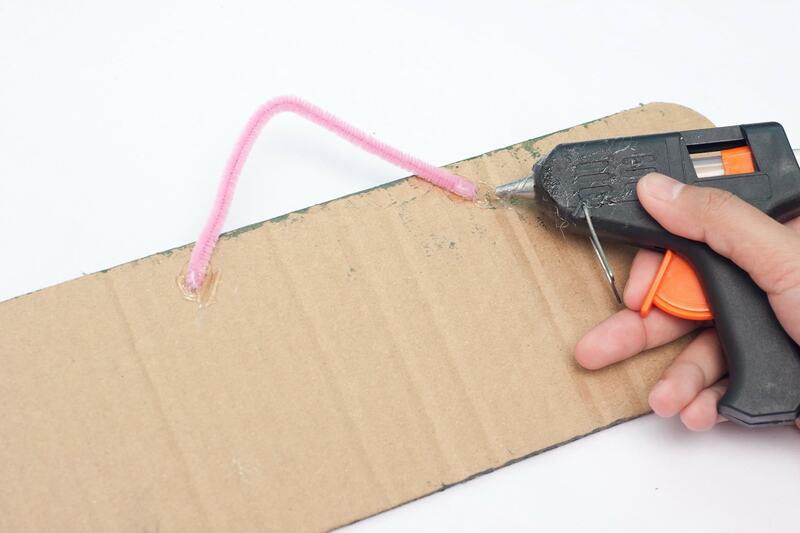 In this step by step tutorial, we will be recycling cardboard and reducing waste. Corrugated board will be made instead of buying one in the market. This project is a little time consuming, but I assure you, this is worth the wait. Let us begin making one now! 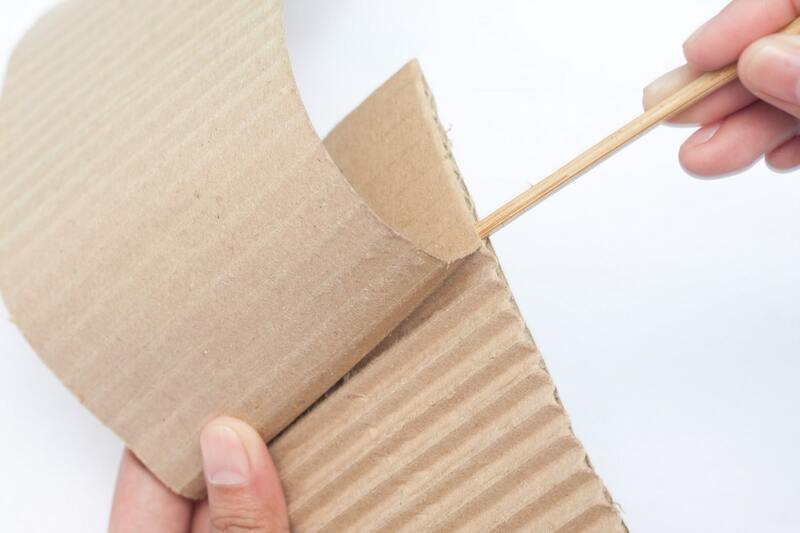 Step 2: Insert the wooden skewer on the side space of the cardboard the pull the upper layer up. 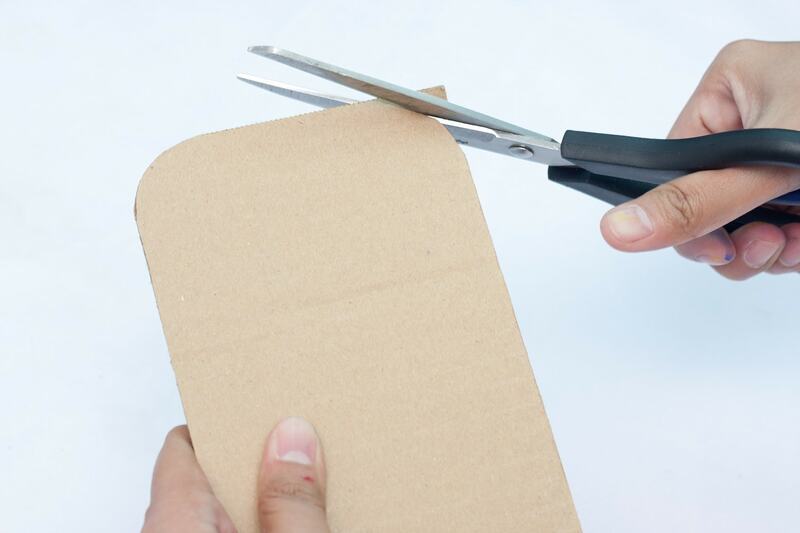 Continue doing this until you have your own corrugated board. 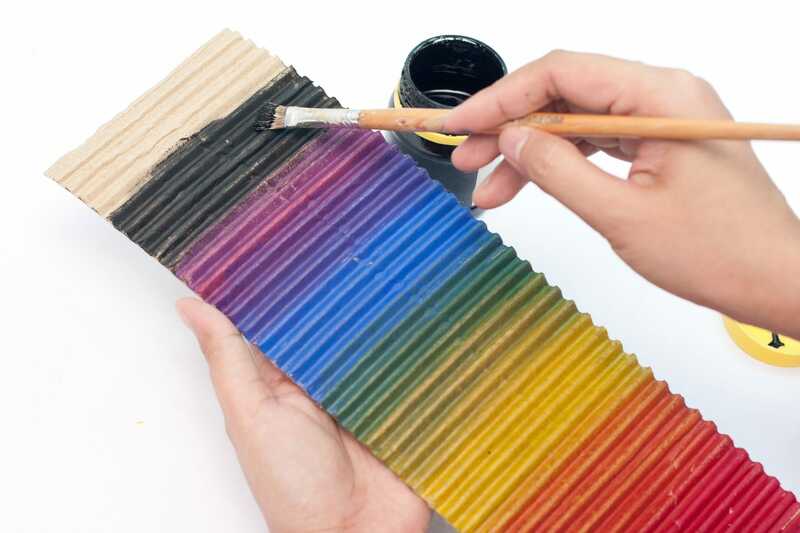 Step 3: Paint the corrugated board using a gradient. Step 4: Let the paint dry for an hour. Step 5: Get the other rectangular board and curve the sides of it. 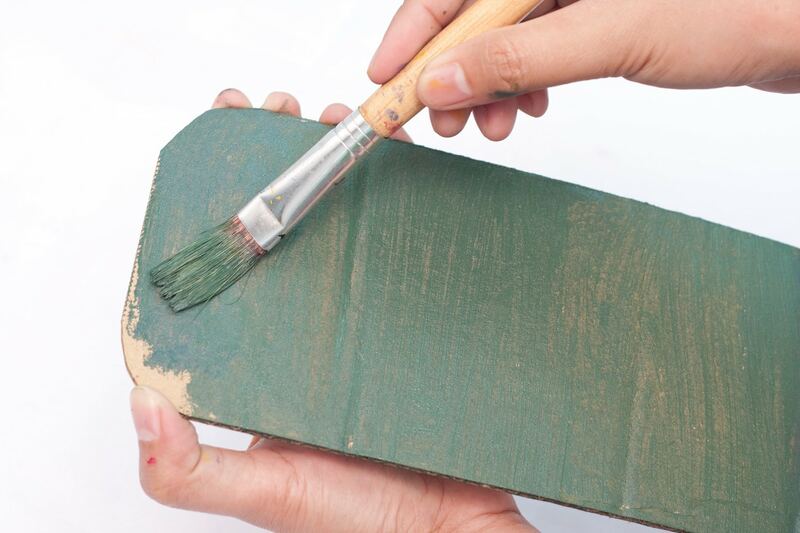 Step 6: Paint the curved board using the green acrylic paint. Let it dry for an hour or two. 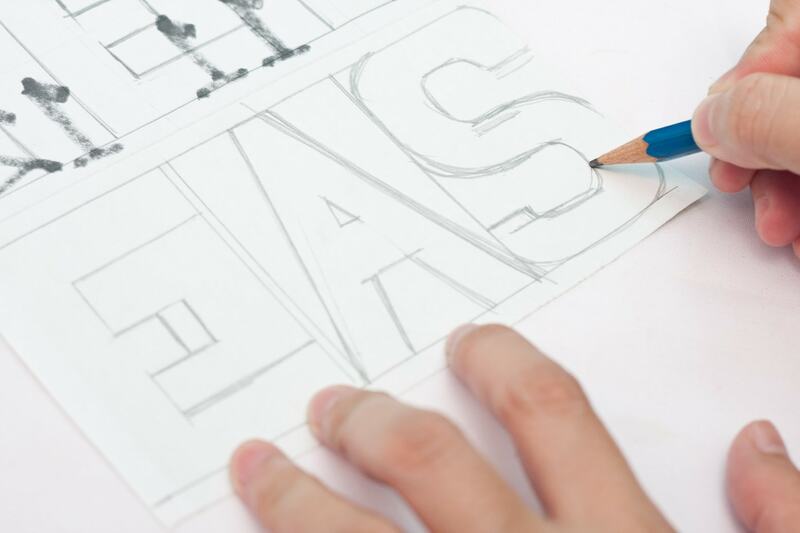 Step 7: On a piece of scratch paper, make a bold lettering of the word E-A-S-T-E-R. 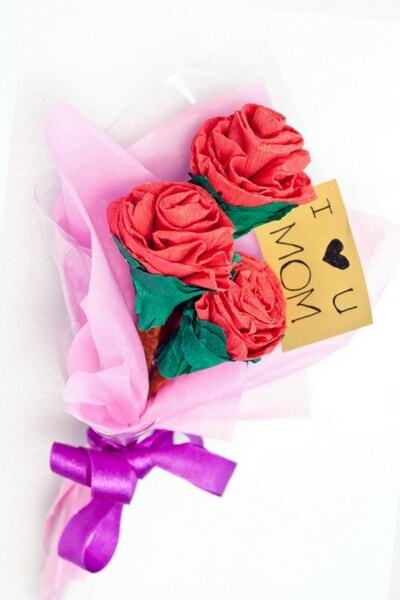 The type of font and the size would vary on the width of the corrugated board that you have. 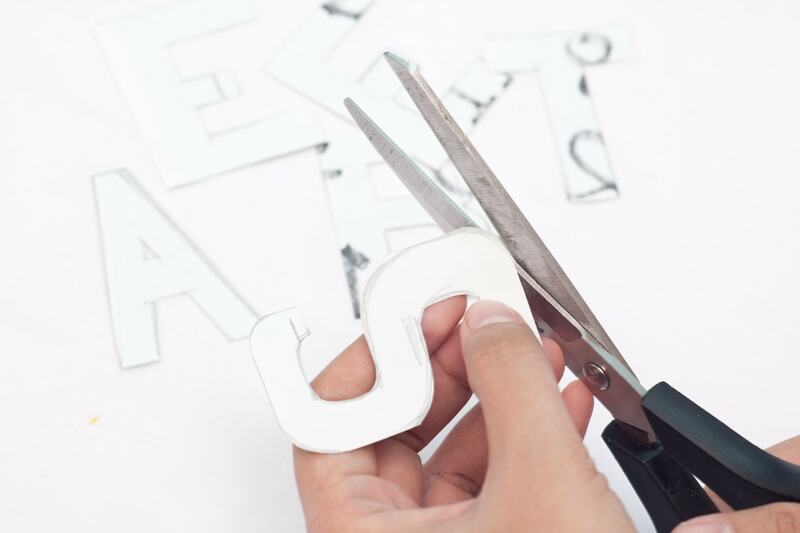 Step 8: Cut the E-A-S-T-E-R letters. 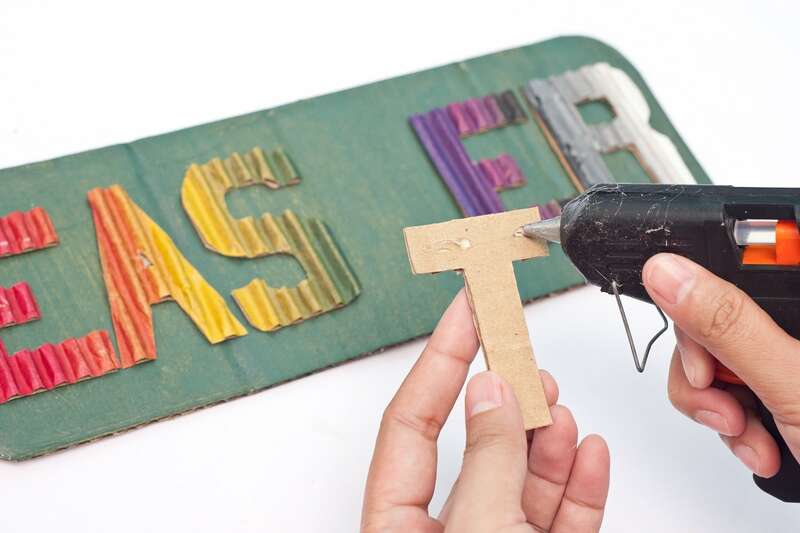 Step 9: Arrange the E-A-S-T-E-R letters on the back of the corrugated board in a reversed way. Tape it on the back of the corrugated board. 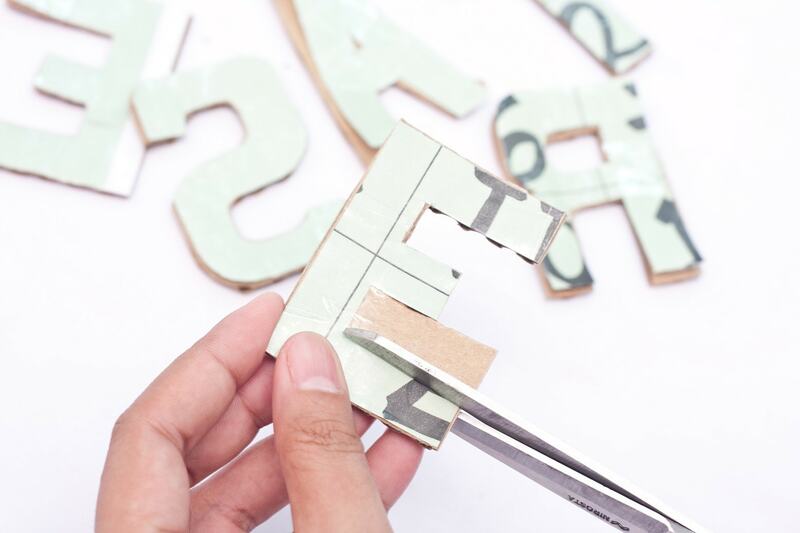 Step 10: Cut each of the letters based on the letter patterns. 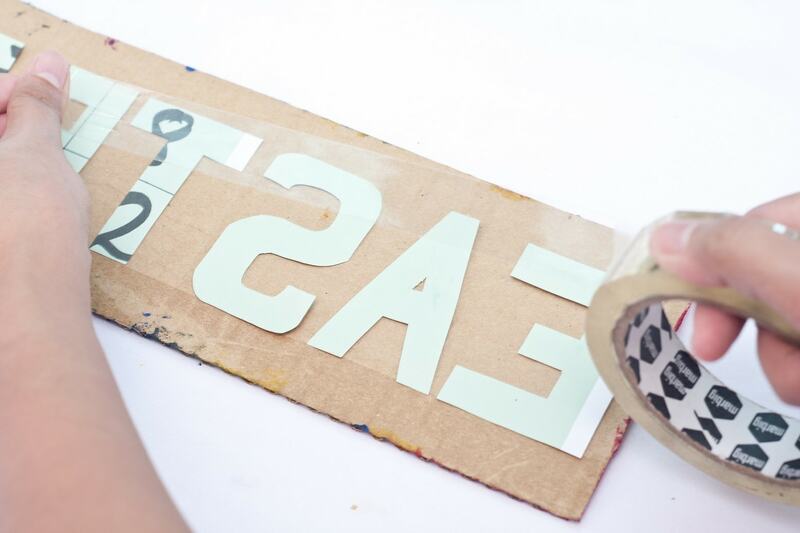 Step 11: Arrange the E-A-S-T-E-R letters on the green cardboard or the backboard. Take note of the spacing, this should be properly observed. Step 12: Hot glue each of the letters on the backboard. Step 13: Form a V-shaped on the pipe cleaner. This will be used for hanging the door décor. Step 14: Hot glue the pipe cleaner on the middle top part of the EASTER door décor. Step 15: Finally done! 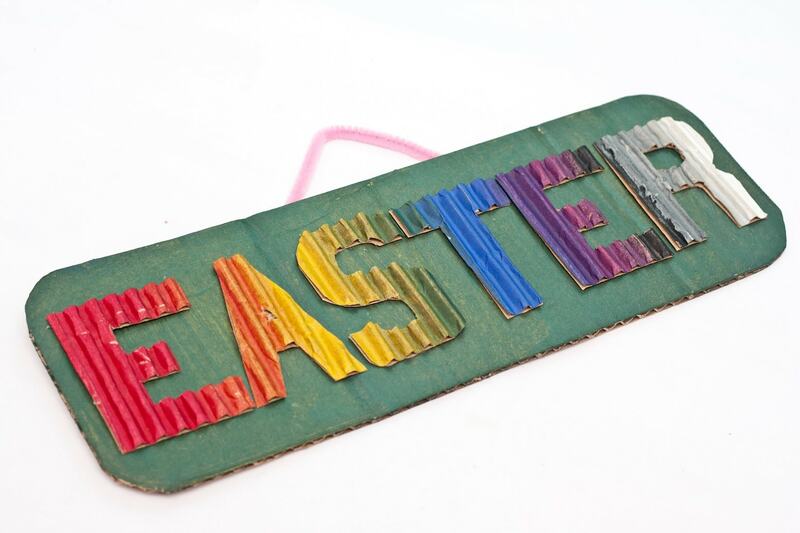 You now have a corrugated EASTER door décor. 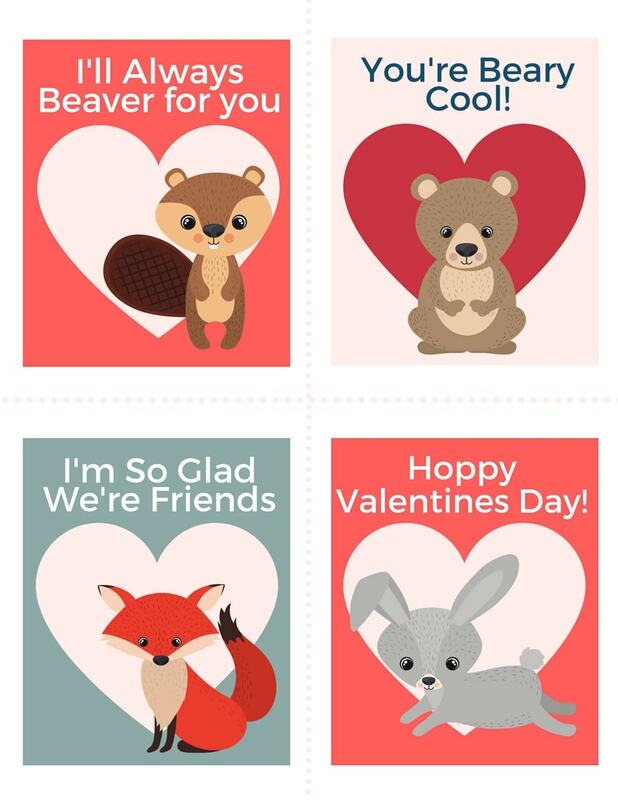 Step 16: Hang this on your front door or even on your bedroom door. 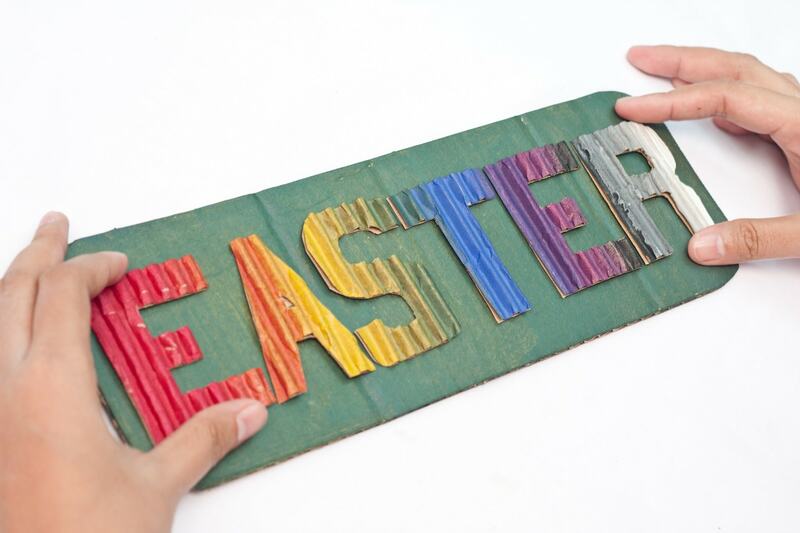 This corrugated EASTER door décor is perfect to welcome the Easter season. 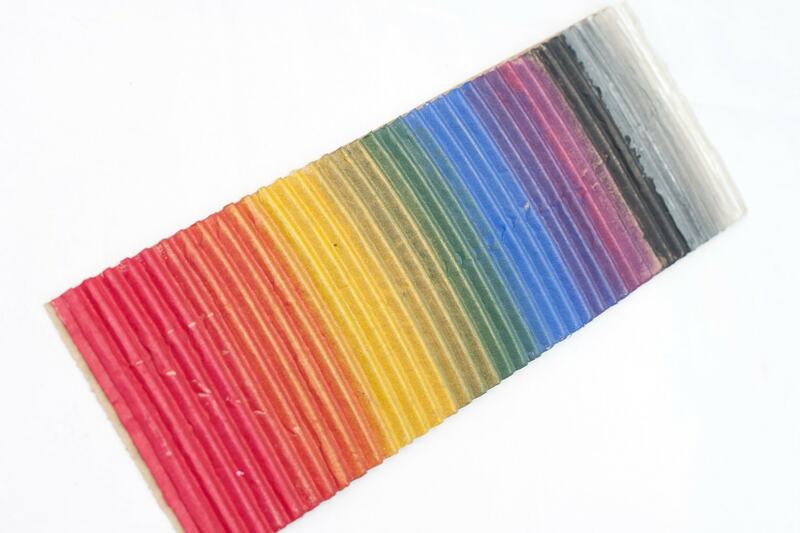 The manual way of corrugating the board saves you money from buying the commercially available corrugated boards. 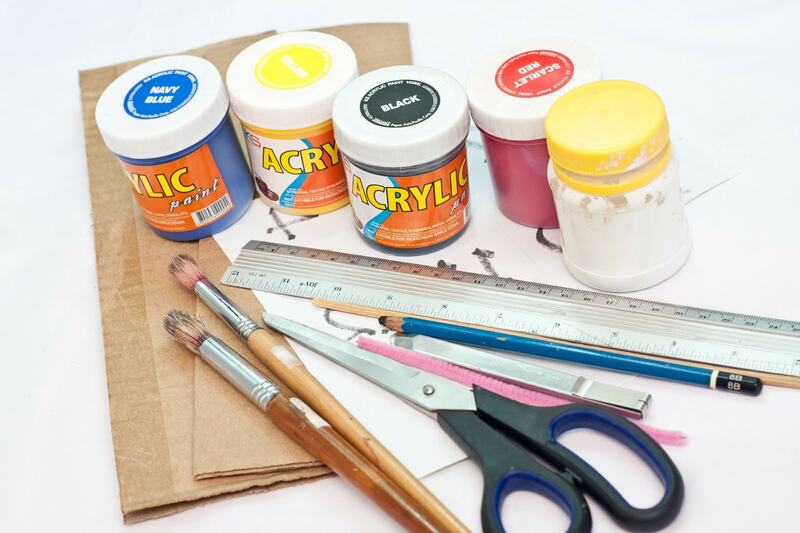 You just need a typical cardboard from your usual home boxes that are unused already. 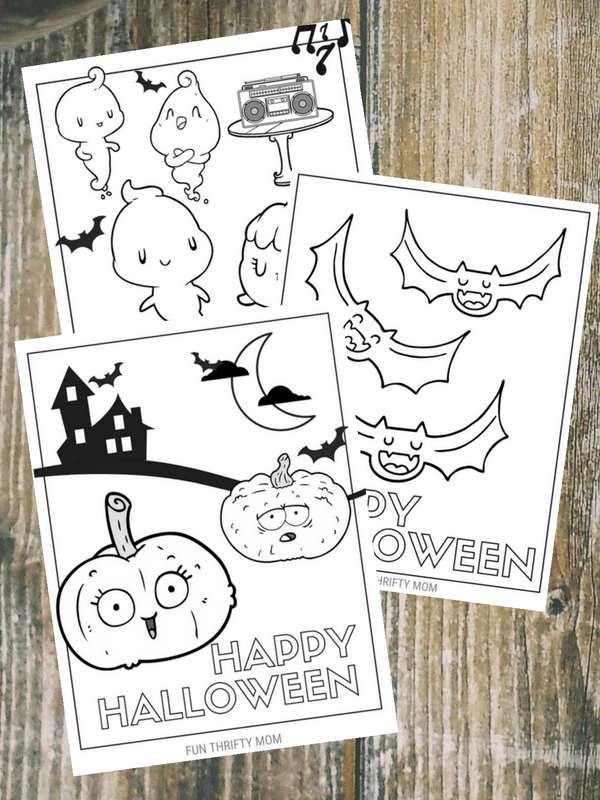 You can put some designs based on your liking to exhibit your own personality.